There are a lot of indie titles around these days, as we all know from often quoted Steam stats. The key problem is getting your title noticed among the mass, and so many months of hard marketing work are put into building a relationship with potential players, doing interviews, releasing trailers and building to that big release day. But what if you simply didn’t bother? 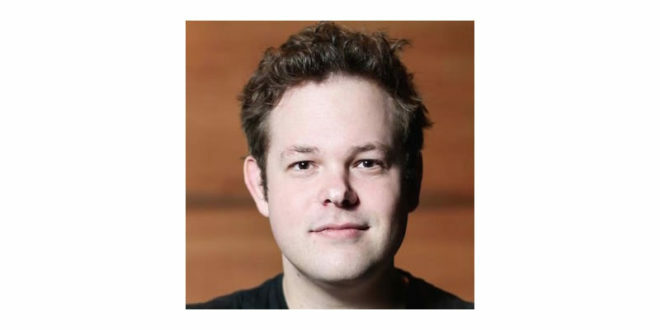 Yesterday evening UK time, acclaimed indie developer Mike Bithell released his team’s latest game with no more notice than a couple of quick tweets.Subsurface Circularwas available to buy on Steam – now. In an era of Early Access and Kickstarter, the idea of simply pushing a game out the door, fully-formed is so unique as to look borderline insane. 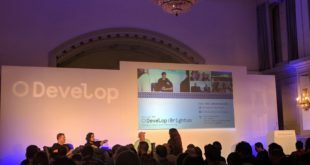 We got in touch with Mike Bithell straight away, who was settled in on his sofa for a long night of fielding queries and watching the feedback and reviews roll in, to ask why he’d gone against all orthodox thinking in this matter. How long have you been working on Subsurface Circular? We started the game on returning from GDC after a round of pitches for another game. It went well, but we saw the months of negotiations and planning rolling out in front of us, and realized we wanted to keep busy. It felt like we could maybe get this game done in the time we had. At what point and why did you decide to release game with no notice? It was a pretty early decision. We knew the game was short, and we hoped we’d hit a high polish level. I was terrified of overhyping it, of folks imagining a bigger or different game after seeing screenshots or trailers. By announcing and launching simultaneously, we could ensure that players got in with managed expectations, and we hoped the game was good enough that folks would share it, which seems to be happening. Do you feel the industry has fallen into an unhelpful one-size-fits-all marketing template for games: early access,community building, pre-order, teaser trailer, release trailer etc etc? I think every game is different, and I certainly don’t begrudge anyone doing exactly what they think is right for their game. With digital distribution making pricing malleable, it felt like it’d be interesting to see if the audience would be into something concise, and that meant we’d be silly to market it like a AAA. You say the game ‘respects your time’ – is there a lack of games for the time poor among us? I look at my TV, and right now, stacked next to it, are about five games that I’d say I was actively playing, but am nowhere near the end of. Me and my friends are working longer hours and/or have families, and we all have those piles. I’d love to play a game which was interesting, but that I could squeeze in over an evening. It’s looking like some other people might feel the same. Does the industry too often value quantity over quality – or at the very least always think that more is better? I think as designers we need to ask whether the game we’re making fits the business model, and business model certainly factors in time played. Variety is good, it’s fun to be playing at the shorter end of things with this game. And do you think Steam’s refund policy needs tweaking for games such as this? Hehe, ask me in a month. 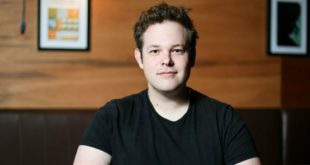 Now, Bithell is a well-established developer, so he knows that his team’s new game isn’t going to sink with barely a trace – as do many new efforts on Steam. We’ll never know if the game would have sold more with a more traditional marketing strategy, but the approach certainly seems to fit the nature of the title, and it’s great to see an innovative developer pushing that innovation beyond the contents of the game itself.